A collaborative series of curriculum design workshops uniting college faculty and industry specialists wrapped up the fourth and final session this week at the Kingsport Center for Higher Education. These workshops provided four days of information through the organization DACUM – an acronym for Developing A Curriculum – for community colleges to train workers for emerging industries. The final session included panelists from Northeast State Community College, Nashville State Community College, Roane State Community College and Southwest Community College joining energy industry specialists via Interactive Television conferencing. College faculty and energy industry reps collaborate on a curriculum to best serve students. “The process helps to close the gap between what the instructor is teaching and what the graduate needs at entry level on the job,” said Northeast State President Dr. Janice Gilliam. Certified DACUM facilitator, Jane Pendry, from Guilford Technical Community College, Greensboro, N.C., led sessions across the state to gather information for Energy Specialist, tasks to be mastered by student before graduating, and skills and traits for employees. 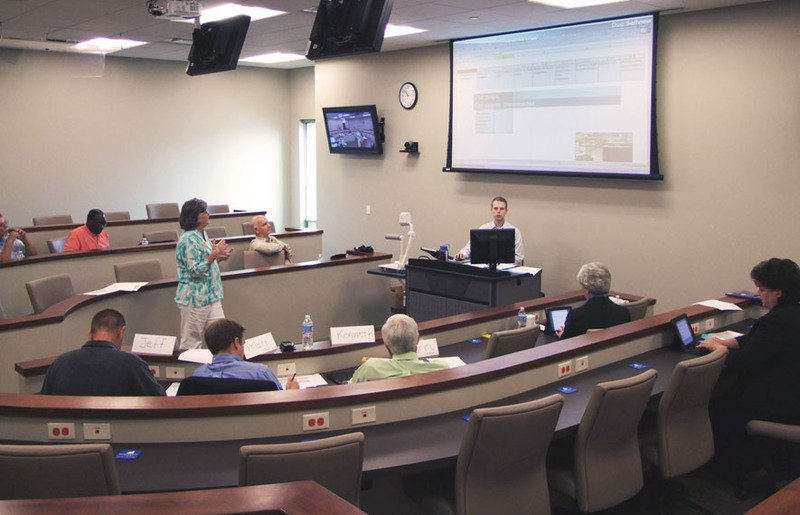 Northeast State faculty and staff Cindy Tauscher, Advanced Technologies Interim Dean, Sam Rowell, and Business Technologies Interim Dean Danny Lawson engaged with industry experts at all three workshops to determine the best training content for students. DACUM falls under the Community College and Career Training (C3T) grant program launched earlier this year by the Labor Department. DACUM uses a storyboarding process outlining what a worker does in terms of duties, tasks, knowledge, skills, and in some cases the tools the worker uses. Panelists assess and adjust this information on critical and frequently performed tasks and the training needs of workers. College representatives listed tasks to be completed by entry-level worker as a lineman (energy distribution specialist) categorized in “bands.” Industry experts and college faculty members discussed the bands and tasks to see what should remain, and in what order. Faculty and industry representatives provided input about the teaching matrix. This input leads to development of a learning matrix for each course. The college instructor will check off as student progresses through the course when each matrix task is mastered. The collaboration between college instructors and industry professionals combines technical knowledge with practical application of that knowledge in the work environment. The final matrix will be used to establish an Energy Specialist (electrical lineman, for example) curriculum at each college to meet their needs. Dr. Gilliam said pilot courses developed through the DACUM workshops would likely begin in the 2012 spring semester. The Labor Department began awarding grants this year to support the development and improvement of postsecondary programs of two years or less that use evidence-based or innovative strategies to prepare students for successful careers in growing and emerging industries. The Tennessee Board of Regents has not received notification on whether the grant has been awarded, but colleges are proceeding with implementation of these high demand certificates regardless of funding, but would be able to implement more broadly if colleges received financial support. “Our plan is to place each program area offered by Northeast State on schedule over the next five years to have DACUM completed and programs updated. Then a follow-up DACUM review every five years, or more frequently to keep up with industry needs,” said Dr. Gilliam. Workforce Solutions at Northeast State will present a series of classes on the Excel spreadsheet software program in August. The first course, Intro to Excel, introduces students to processes used in creating and working with a basic spreadsheet and will be taught on Aug. 18. The Intermediate Excel course set for Aug. 25 covers advanced formatting, charting, and pivot tables and pivot charts. The series’ third course, Advanced Excel 2010, covers financial and date functions, list management, exporting and importing, and macros. This course will be held Aug. 26. Classes are scheduled to meet from 8 a.m. to 4:30 p.m. on the main campus at Blountville. Course fees are $110 each including course materials and costs. For reservations or information, contact Cindy Tauscher at 423.354.2570 or cmtauscher@NortheastState.edu. Workforce Solutions at Northeast State will present a 30-hour General Industry course on safety and healthy work practices in September. The course provides successful participants with four days of information on current topics in occupational safety and health as enforced by the U.S. and state Occupational Safety and Health Administration (OSHA). Tennessee OSHA (TOSHA) trainers will conduct the classes. The course meets Sept. 26 – 29. Course hours are: Sept. 26 – 28, 8 a.m. – 5:15 p.m.; and Sept. 29: 8 a.m. – 3 p.m. Classes will meet in Room L106 of Wayne Basler Library on the main campus at Blountville. The course fee is $399 including books and study materials. The registration deadline is Sept. 12. For reservations, contact Cindy Tauscher at 423.354.2570 or cmtauscher@NortheastState.edu. 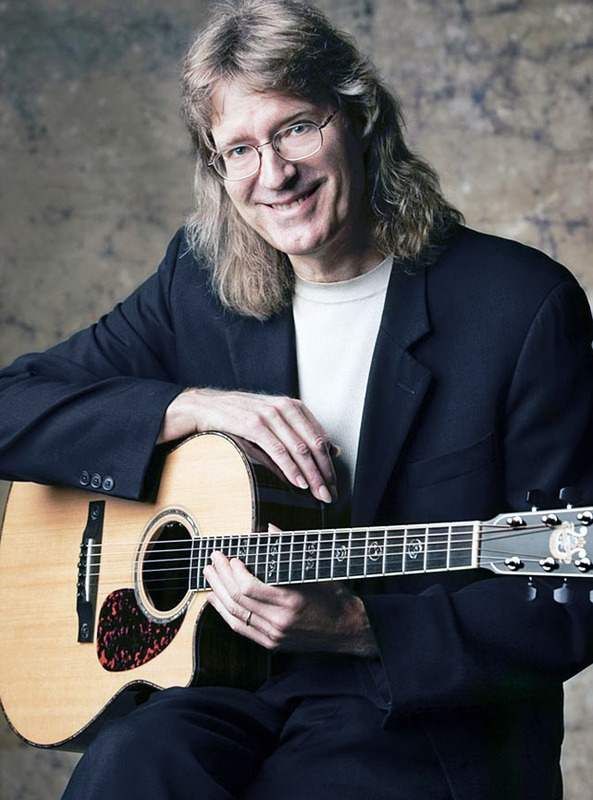 Guitarist Doug Smith performs a free concert on Saturday, July 30 in the Wellmont Regional Center for Performing Arts Center on the main campus at Blountville. The concert is the third and final performance of the College’s Summer Concert Series. The show is open to the public and starts at 7 p.m.
Doug Smith plays Northeast July 30. Smith is a nationally recognized acoustic guitarist who weaves together folk, classical, jazz and contemporary forms into a unique, flowing fingerpicking style recalling the playing of Chet Atkins. He won the prestigious Winfield International Fingerstyle Competition in 2006. Smith’s music has been heard on radio and television productions including The Discovery Channel, Martha Stewart Living, CNN, TNN, and Encore. His original music has been heard in movies such as Twister, Moll Flanders and August Rush. Smith recorded two albums with American Gramiphone Records, Order of Magnitude and Labyrinth. He later recorded Deep Heart with Honest Records and at the same time Honest published the Best of Doug Smith album. In 1998, he released his hit solo acoustic CD Alone at Last on Solid Air Records (AMR). Smith other CDs include The Power of Two and For You, a classical album with another Acoustic Guitar Summit guitarist and classical music composer Paul Chasman. Order of Magnitude and Labyrinth were re-released in 2000, and Alone Again came out two years later. Smith and the other fantastic guitarists won a Grammy Award for Best Acoustic Pop Album for the album, Henry Mancini – Pink Guitar. For more information visit www.northeaststate.edu or contact 423.279.7669 or jpkelly@northeaststate.edu.